In my previous post, I said I was asking for a bike for my birthday coming up in March. For some reason, I had it stuck in my head that I wanted a Schwinn so I found one for almost $200 at Walmart and put it on my wishlist. Well, I went to target Friday after work to buy some junk food because I was seriously PMSing and went to check out the bikes, just for fun. Guess what I found?? 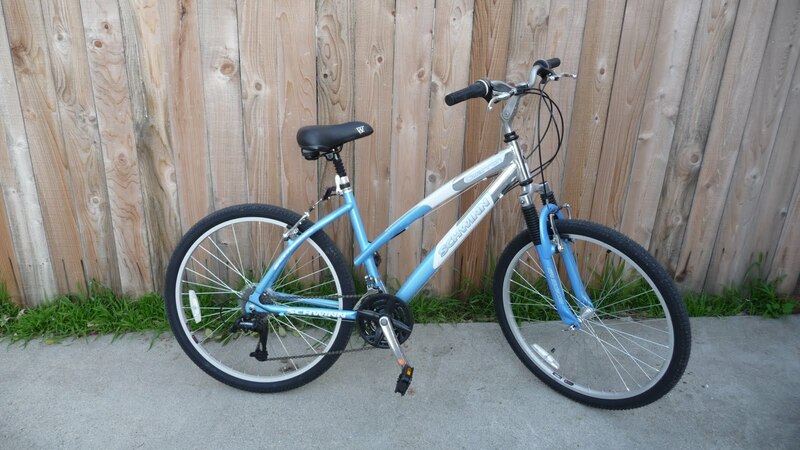 A women’s Scwinn “Comfort” bike, originally $200 on sale for $50!!! I had to ask a manager why it was on sale because I was worried something was wrong with it. He said they probably discontinued the model and Target had a large stock and needed to get rid of them to make room for new models. I immediately emailed my husband to see if he wanted me to put it on hold since it was such a good deal and I could have my present early (and get all the cool accessories I wanted, since the price was a third of what I thought he would have to spend). He gave me the ok and now I have an AWESOME bike! Well, I was dying to try her out, so my husband and I decided to ride to the post office because I also had to check and renew my PO box. It was about a 5 mile ride there and all on busy streets. I kept making my husband go first because I get nervous and tend to space or freak out. On our way back, after stopping by DeLightVille to say hi to some friends, he told me to go in front and I almost died. I was thinking about who-knows-what and went into a cross walk at the end of a very busy freeway offramp (I did have the right-of-way, but should have looked to make sure a car wasn’t coming… they just had a yield signal, no light or stop sign). 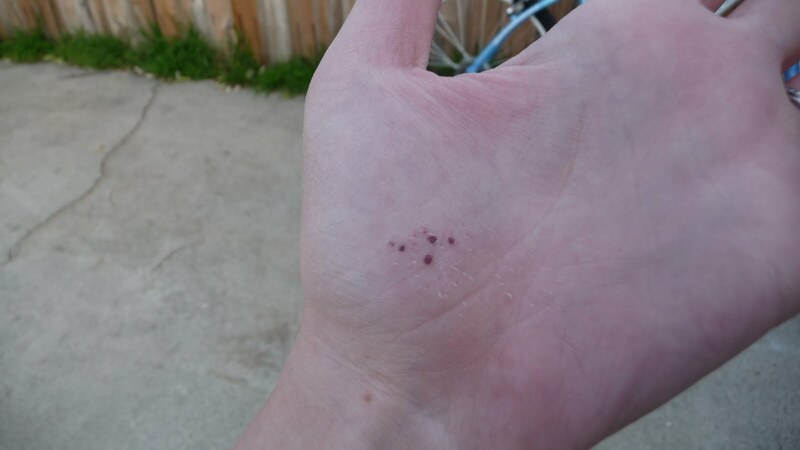 There was a car coming and it screeched to stop in time and I freaked and hit my front wheel brake and went right over my handlebars. Luckily, I let go and put my hands out in front of me so I didn’t face plant, but I got a little scraped up and very shaken up. I also snapped off my front reflector. One of my battle wounds. I dusted myself off, caught my breath, and continued on the way home. I’m glad I wasn’t hit by a car on the first ride with my new bike, but it definitely taught me a lesson about paying attention when riding. On trail rides I can let my mind wander, but on the streets or sidewalks even, I have to keep my head in the game. Have you ever been in a bike accident? Look out for the texting while driving people while you are riding! And don't text while you drive! (You could hurt someone on their bike! )Mateo says, you should name the bike "schwinny"